Along the same theme as yesterday, here’s another helpful running aide. Do you like running/walking with empty hands? Well, then where do you put your keys, cell phone (as a reader mentioned), debit card (if you’re running to the store), inhaler (if needed), energy bar, etc.? How about in one of these arm band pouches? **Keep in mind, I am giving you the dimensions that I used to make mine. You can make yours bigger or smaller and it will work just fine. Cut out a piece of fabric that is 7 x 5 1/2 inches. Fold it together in half short ways and sew the two 5 1/2 inch sides together. Use a 1/4 inch inch seam allowance. Turn right side out and press flat with your fingers, with the seam on one edge. Now, place pins on both sides of one end. Then fold the pin in towards the center, a 1/2 inch. Fold the fabric down all along this side so that it will lay right. Do the same with the other side and make sure all of the edges of fabric are even and are showing right at the end. Pin into place. Now, sew these folds in place with a seam close to the edge. Then fold over a 1/4 inch and then another 1/4 inch and then sew into place. Now fold the open end down 1/4 inch and then another 1/4 inch and sew into place. Iron the entire pouch flat, extending those folds all the way to the other end. Keep it even and straight. Now, you’re going to make the closure flap. Cut out a piece of material that is 7 x 2.5 inches. Fold in half width wise and sew along the 7 inch sides that are now 3 1/2 inches long (because you’ve folded it in half). You may have to adjust the width of this just a tad as you try to attach it to the main section of the pouch. Then attach velcro to the flap and the main part of the pouch. Now cut 2 pieces of elastic, according to the size of your arm. You’ll want it to fit snugly but not too tight, as that would become annoying. Also, leave enough room to make it adjustable in case your arm grows or decreases in size. (or if anyone else wants to use it.) Fold under one end of the elastic and attach it to the bottom back side of the pouch. Do the same to the other end, attaching it at about the same place that you attached the flap to the pouch. Make sure to keep the flap out of the way while attaching the elastic. Now attach your velcro. I attached the velcro in smaller sections on one end so that it would still stretch. (click on photo to enlarge) You could do this on both ends just to be sure it has plenty of stretch. Now, slip in any sort of necessity, strap around your arm, and you’re ready to go. Love it. I'm definitely going to try and make one of these. Man do you have an eye for cute fabric. I have LOVED looking at your site for almost a year now and I have adored the fabric you use, and of course the ideas! You are so creative! Great idea! I loved the ID band, too. I was thinking that for children, you could make it in reverse – with the ID part on the inside. Great idea and I love that fabric! Is it Amy Butler? Thanks for the great idea! Hello. Just came across your blog.I think its really different and unique. I like it a lot. Feel free to come check out mine if you like. Hey Ash! I just wondered if you realized that you officially have more followers than "seriously so blessed"…that is awesome! Keep it up girl! Oooh…I need one of these to carry my little stopwatch!!! Thanks. How do I get you to make one of these for me?!?!?! I can't wait to make this! I'm going to make one for my shoe, too! Thanks a million times for this!! I made one today, only changed it a bit to not use elastic…. OMG! I'm sooo happy i decided to just browse all your tutorials again today!!! 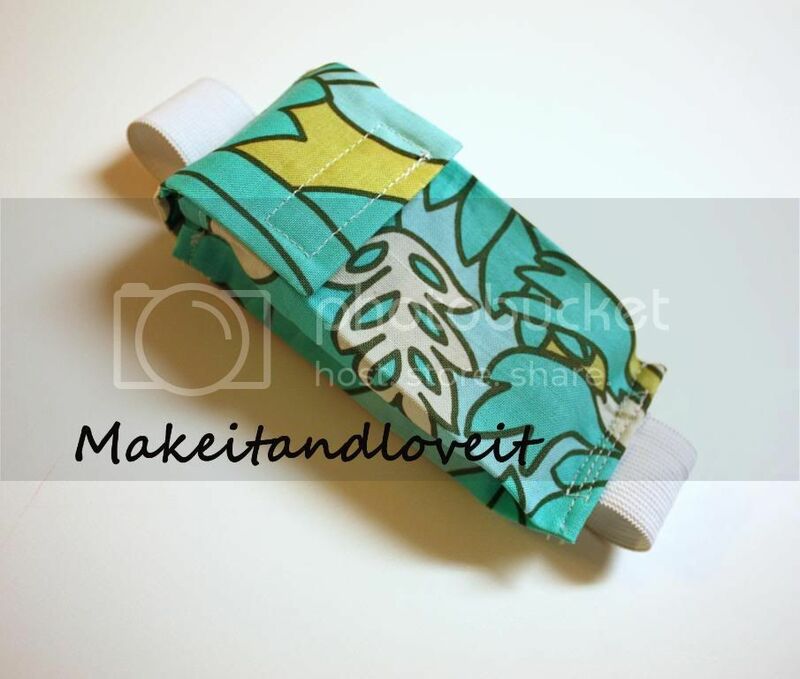 in the past week I have purchased two different $30 arm bands for my Ipod touch both of which claimed they were one size fits all….both were waaayyyyy to loose for my arms ne-ways im sooo making one of these tonight once the kids go to bed! Thanks for posting! I love your site!!!! I just made one of these so I can have my phone with me at graduation. I don't have dresses/skirts with pockets, so this was my solution, and nobody will notice it because I'm wearing a huge gown on top of everything! Thanks for the tute, it worked well. Thank you for a great tutorial! I had a really nice armband that came with my first mp3 player, and have wanted to make one to go on the band to fit my cell phone and IDs for running or just playing outdoors with my kids. This fit the bill! 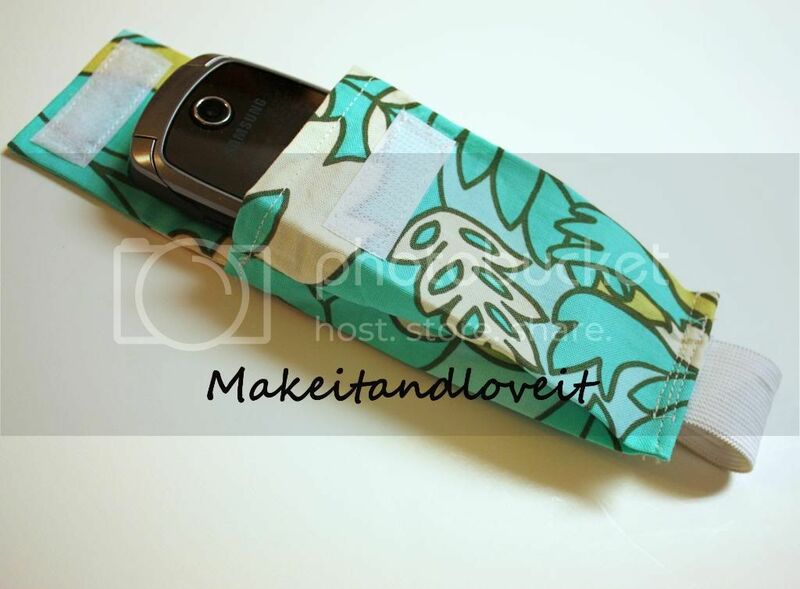 I used your dimensions, but added vertical ribbon loops to pass the armband through. Perfect! Can’t wait to show it off! Hi I love this idea and have just added it to a thread in the fat fighters area on my site! I LOVE this! I am not currently able to craft or sew :( but, this is being put away for Xmas gifts! Thanks for this Pattern! I will make me one, but I will attach the Elastic the other way around, so the Cellphone lays flat along my arm and the flap goes toward my hand! My Wrist is too skinny, to have the Phone across! Great Pattern, sweet Material, excellent Craftsmanship! Happy New Year to all the Crafters and Sewers out there! Not to forget to teach your kids to sew! This looks great, but I do wish you’d give the finished size of yours. I’d like to make a larger one since my mp3 player is kind of large, but I’m unsure what dimensions to use. If I knew what size yours turned out (starting with 7 by 5.5) it would help. Thanks. I am a new sewer….Hello I just got finished making this arm band pouch but it is to small for a phone with these mesurments. i followed her directions and these are the finished mesurments of mine…..4 inches x 2 1/16 inches… very tiny but good for credit card a few keys some cash but the phone wont fit so make sure you measure your phone and allow for proper mesurments. Also. its very very hard to get the velcro on after you sew it. hard to sew the opening rim the way she gave directions. but i finished the bag and about to put the elastic on once i go purchase navy blue or black elastic. If youget the email send me one if you want to see a picture of mine. i can take a pic with what all i can put inside so you cansee size better. its a very cute pouch and i enjoyed making it but will I will have to adjust sizes. It’s a good idea but I would tend to think a cell phone would be too heavy to have it sideways on your arm like that. If it were bigger to accomodate other items as well, it would definitely be hanging down on the arm. What’s up to all, how is all, I think every one is getting more from this website, and your views are fastidious in support of new viewers. Ok so the instructions say to sew the two 5 1/2 in sides together but then that would close up three sides w the folded side? Nice project, but how about a printer-friendly version of the directions? I am going to make this for my husbands Mp3 Player and thought I’d print it out instead of having to go back and forth and I go to print and the first page says 1 of 22 (WTH) I certainly DON’T want to print everything on the page all I want is the pattern. Do you by chance have any plans of putting anything on here for “Print Pattern Only” (?) that would be totally AWESOME!!!!! So, I guess I will be going back and forth until…. Thanks.